HORROR VACUI distills iconic codes of nightwear, traditional tailoring and urban edge into immaculate pyjamas. It‘s all in the charming details. 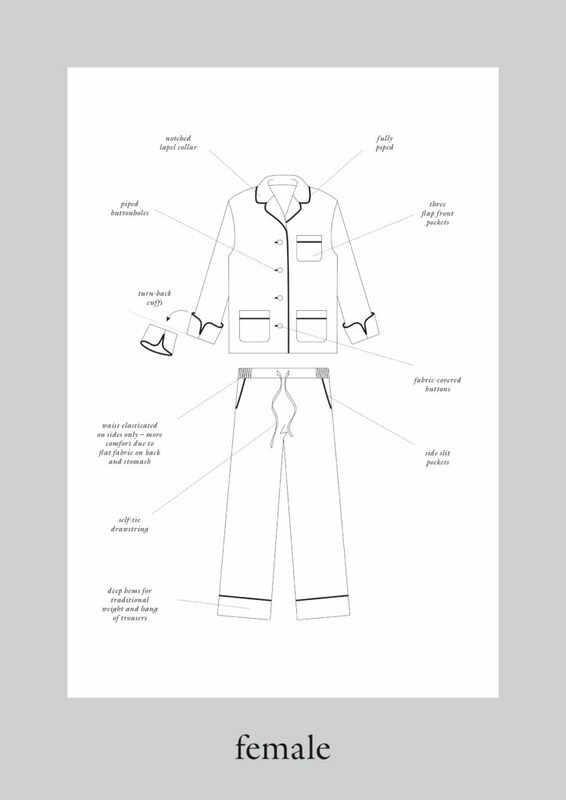 Our passion for the perfect pyjamas starts with the fabrics. For our cotton pyjamas we use a super fine and strong 76g Egyptian cotton with a silk like finish – it is light, feels perfectly smooth on the skin and at the same time it washes well and is hard-wearing. Our silk pyjamas are cut from super light and soft pure 65g luxury silk, that brings out incredibly vibrant colours and feels fantastically soft on the skin. 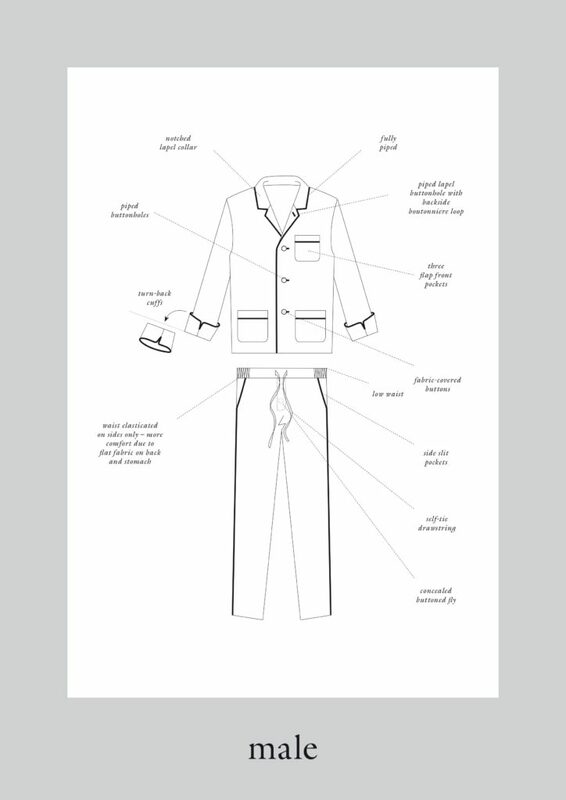 From turn-back piped cuffs to buttonhole piping and fabric-covered buttons – HORROR VACUI is dedicated to preserving traditional codes of pyjamas tailoring and details of quirky luxury.